Known for his homespun wit and good-natured bravado, Jay Hanna “Dizzy” Dean was perhaps the most colorful member of the Cardinals’ famed “Gas House Gang.” With his blazing fastball he won 30 games in 1934, earning MVP honors and leading the Cardinals to a World Series victory. He won an amazing 120 games in his first five full seasons, but his career was cut short by injury. Dean moved on to announce radio broadcasts of Cardinals and Browns games, and later to television’s game of the week, where his keen analysis and informal speech charmed the nation. 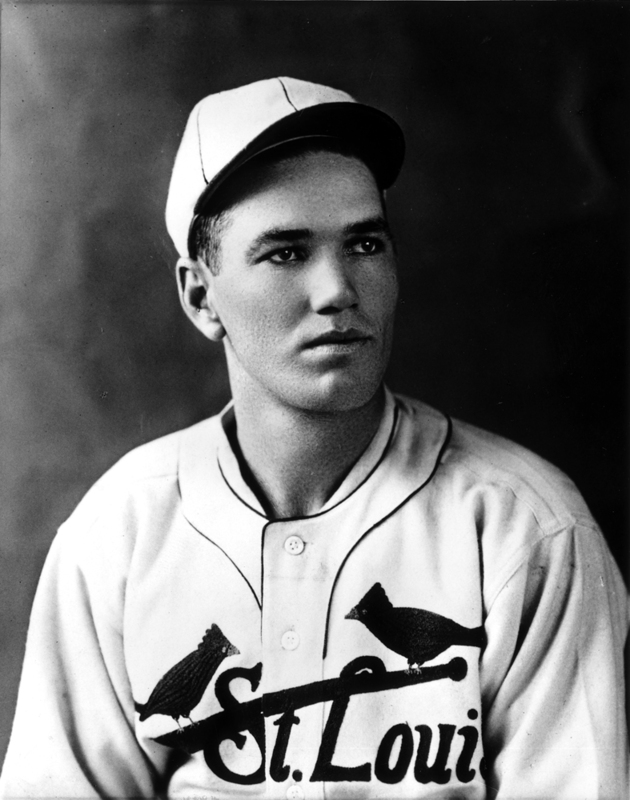 Dizzy Dean was inducted into the Baseball Hall of Fame in 1953. St. Louis Cardinals Visit the official web site for the St. Louis Cardinals.